The kids are shut in today. It is just plain old too cold to be out there. They went out for about 10 minutes a peice, and came back in with frozen fingers and toes. So I decided that we were going to sit, watch a movie, and have some simple old fashioned treats. Use a decent size pot (with a lid) and pour in enough oil to have about an 1/8" covering the bottom. Don't use too much oil. Too much oil will sog the popped popcorn and you'll probably get sick to your stomach when you eat it. 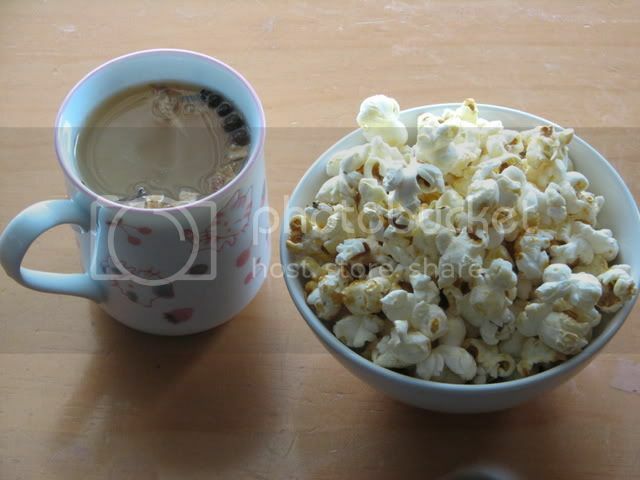 Dump in enough popcorn to make a single layer in the pot. Put the pot on medium high heat. When you see the corn start to get excited but before it starts to pop, quickly pour in the sugar as evenly as you can across the top. Cover and shake back and forth to pop (like Jiffy Pop). When you pull it off you need to slightly salt it. You can't pop every single kernel because you would scorch the popcorn. Also pouring in the sugar too soon tends to make the popcorn scorch more easily. If you pour it in too late, the sugar stays granular and grainy. 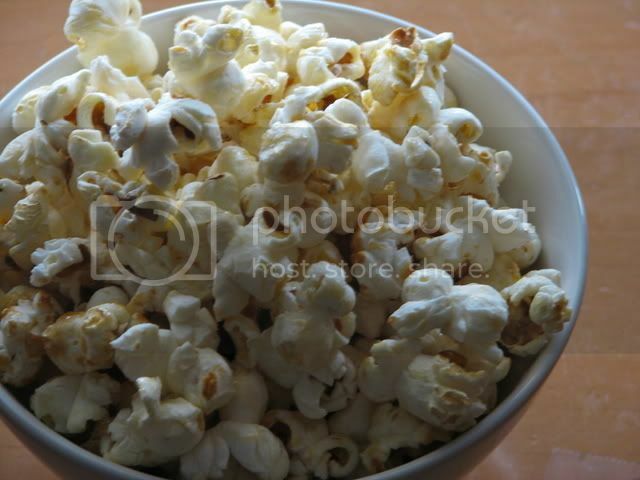 Also get the popped popcorn out of the pot as quickly as possible to prevent scorching. With a side of hot Spiced Apple Cider. Apple juice from a near by cider mill farm that we go visit often, and the spices were added and brought to a boil. Easy, inexpensive, and very effective. I have very happy kids this morning.